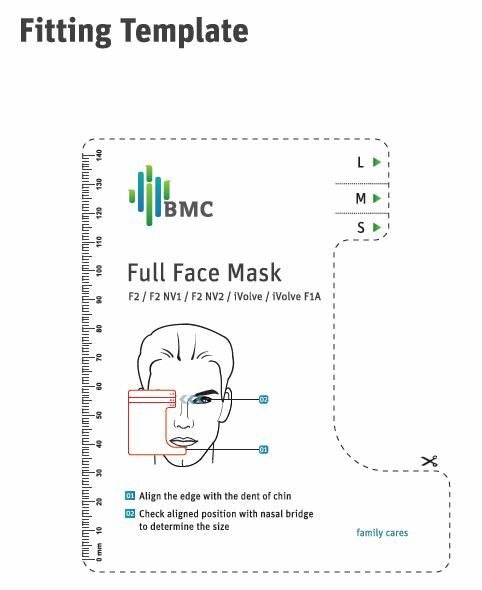 The iVolve F1A by BMC is a new lightweight Full Face mask with standard fitting to fit any CPAP machine. The ultra lightweight and minimal design means the mask is easy to assemble, wear and clean. The innovative Dual-wall designed means the mask delivers maximum comfort, while the light weight design still provides effective treatment. Most importantly the slide in design provides an instant seal to provide effective treatment.